(YANGON, October 12, 2016)—The government of Myanmar should protect civilians and respect human rights in responding to recent deadly attacks against police by unknown assailants near the Myanmar-Bangladesh border, Fortify Rights said today. According to eyewitnesses, Myanmar Army soldiers allegedly killed several unarmed ethnic-Rohingya men on October 10, a day after deadly attacks on three police stations in Rakhine State’s Maungdaw Township. Fears of a military offensive and potential indiscriminate killings and other abuses, particularly targeting the Rohingya Muslim population, are mounting in Rakhine State. According to Myanmar authorities, a group of Rohingya men attacked three police posts on October 9, killing nine policemen and wounding five before fleeing with police weapons and ammunition. The reference to helicopters suggests the film was created on or around October 9, when, according to state media, the Myanmar Army used helicopters to move troops into the area where the attacks on the police occurred. On the same day, the authorities also banned gatherings of five or more people and imposed a curfew from 7 p.m. to 6 a.m. in Maungdaw Township. According to information received by Fortify Rights, scores of Myanmar Army soldiers arrived in Myothugyi village, Maungdaw Township at approximately 6:30 a.m. on October 10. “Ishmael M.,” 23, told Fortify Rights that he witnessed a Myanmar Army soldier fatally shoot an unarmed local Rohingya man named Nagu, believed to be around 50 years old, in Myothugyi village at approximately 8 a.m. on October 10. Ishmael looked on from a nearby home as four Myanmar Army soldiers apprehended Nagu, who was reportedly unarmed. Following the fatal shooting, Myanmar Army soldiers left the body behind. 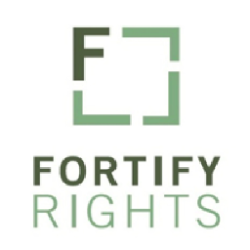 Fortify Rights received photographs and a short video of the victim’s body, showing what appeared to be a gunshot wound to the head, matching descriptions received from two eyewitnesses. At time of writing, the victim’s body has not been buried and is located in a local home. Ishmael said he carried the body of Noor Allam to a nearby home. Fortify Rights received information of at least three killings of Rohingya men in Myothugyi village on October 10—the third was a 25-year-old Rohingya man named Noor Bashar. The Government of Myanmar should conduct a thorough, independent investigation into the killings of police officers on October 9 and into the fatal shootings of Rohingya on October 10, Fortify Rights said. There are more than one million Rohingya in northern Rakhine State, nearly all of whom are denied citizenship and are stateless. For decades, the Government of Myanmar has strictly restricted Rohingya freedom of movement, preventing movement between villages, village tracts, and beyond. In February 2014, Fortify Rights published a 79-page report, Policies of Persecution, documenting widespread and systematic human rights violations against Rohingya in northern Rakhine State, including the rights to nondiscrimination, freedom of movement, marriage, family, health, and privacy. In October 2015, the Allard K. Lowenstein International Human Rights Clinic at Yale Law School found “strong evidence” to establish the elements of the crime of genocide against Rohingya in Rakhine State.